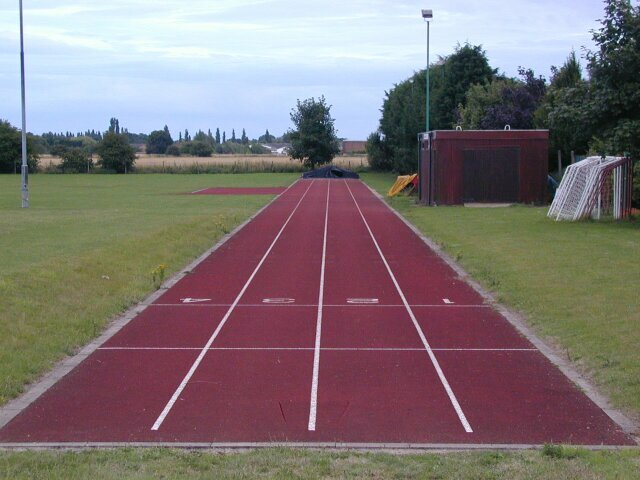 This is a 120m synthetic straight which can accomodate 110H races and is believed to have been built in 1994. It is on the sports field of the March Braza Club whose clubhouse is at the site. There is a LJ/TJ pit at one end of the track and a HJ area about half way down with a JT runway across it. There is also as a SP circle but no facility for DT/HT. A 400m oval can be marked out on the grass field next to the track which is shared with football and rugby teams although in July 2001 there was no such track. It is thought that the track is seldom used now as the March Braza athletics club that used the track is now just a road running club.